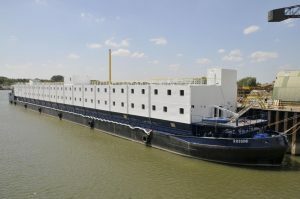 Floating hotels are often used as hotel facilities. Sometimes a new hotel is being build and during that period an alternative is needed to accommodate the guests during the building. Sometimes building on land is not allowed because of environmental regulations. There are areas where land to build a hotel upon is simply not available. In other situations a hotel is needed for a limited duration. And sometimes the idea of a floatel is simply an appealing idea to the guests. 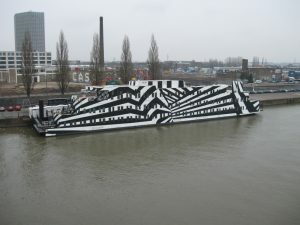 In all these circumstances Chevalier Floatels can be of service. 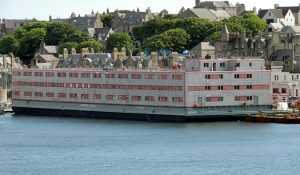 Weather it is to build a new floatel exactly meeting client criteria or to convert an existing unit into a luxury hotel. Flotel Sans Vitesse is already in 4 star outfit and presently has 101 rooms. Flotel Rossini has 110 rooms.